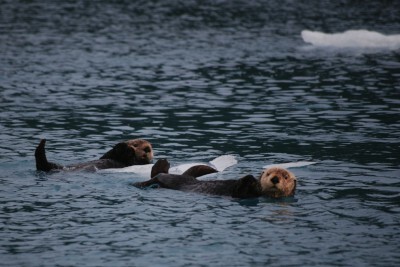 Sea otters show evidence of infection by the 2009 pandemic H1N1 influenza virus. Photo credit: Don Becker, USGS. U.S. Geological Survey (USGS) scientists, in collaboration with the Centers for Disease Control and Prevention, have discovered evidence of the same influenza virus (H1N1) in sea otters living off the coast of Washington State that caused the 2009 "swine flu" pandemic in humans. During a sea otter health monitoring project conducted in 2011, researchers discovered antibodies for the pandemic 2009 H1N1 flu virus in blood from 70 percent of 51 otters sampled. None of the otters were visibly sick, but the presence of antibodies means that the otters were previously exposed to influenza. Further tests concluded that the antibodies were specific to the H1N1 flu virus. Scientists aren't sure how the otters were infected with this human virus, as the population lives in a relatively remote environment with little human contact. Healthy sea otters are considered a keystone species of the kelp ecosystem, which will be degraded if the sea otter population declines. 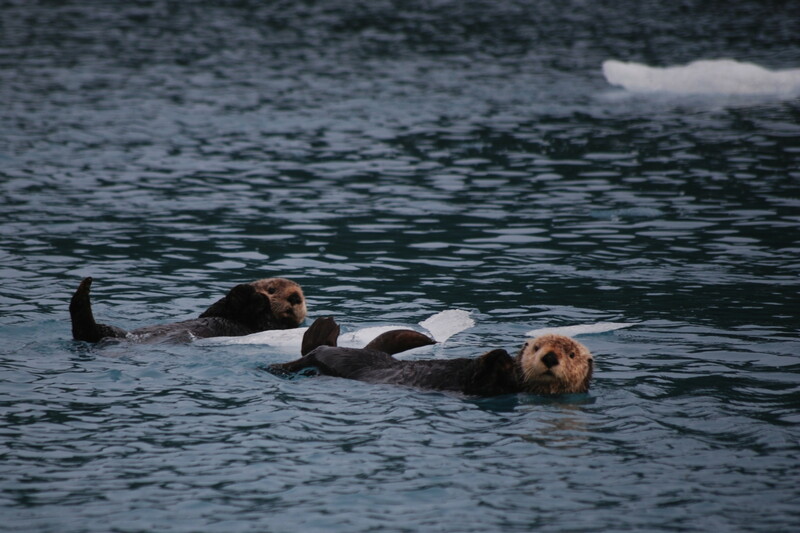 Sea otters are an important indicator of nearshore ecosystem health. Because sea otters feed and live near the coast, they are at risk of exposure to pollutants and pathogens washed down from coastlands. Two wild sea otter populations in the United States are federally listed as threatened, which increases the importance of understanding the dynamics of otter diseases — including how they might be catching the flu from people. Unlike swine, sea otters were "accidental" hosts of this flu, and not a source of influenza virus emergence in humans. Although influenza viruses have previously been found in other animals, including ducks, chickens, pigs, whales, and seals, this study represents the first time that evidence of influenza has been detected in sea otters. These findings highlight the complex nature of interspecies transmission of flu viruses. This work was funded by the USGS Wildlife: Terrestrial and Endangered Resources Program. Serologic evidence of influenza A(H1N1)pdm09 virus in northern sea otters [letter]: Emerging Infectious Disease, 2014, vol. 20, no. 5, doi:10.3201/eid2005.131890.